Follow the steps to find out everything you can do on your account or watch a youtube video. 2. 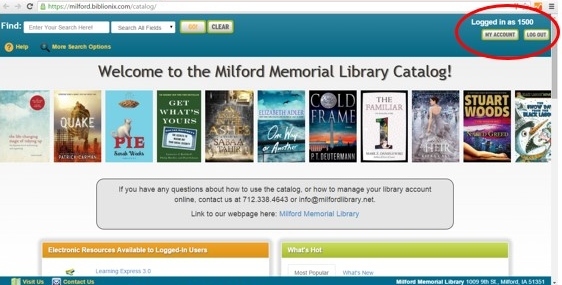 Log on to your account with your library card number and phone number. 4. You can see account info. Under "Account Info" you can see your address, phone, and email. 5. Next is notifications. Here you can see where you get notifications about items overdue and reserves. 6. Under "Items Out/Renewals" you can see all the items out and you can renew them all or invidually. 7. When you go to "Reserves and Requests" you can see what you have on reserve. 8. 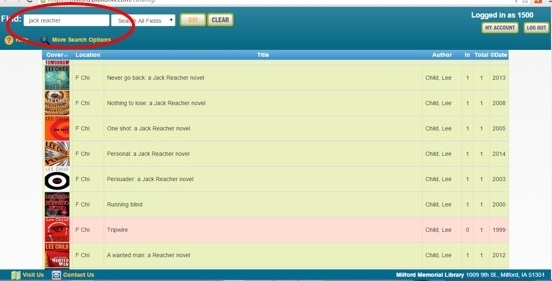 Under "Reserves and Requests" you can also choose authors that you like and you will automatically be put on reserve for their new books. You can choose to defer a reserve; here you can put dates you will be gone and the book will be on reserve after those dates. 9. 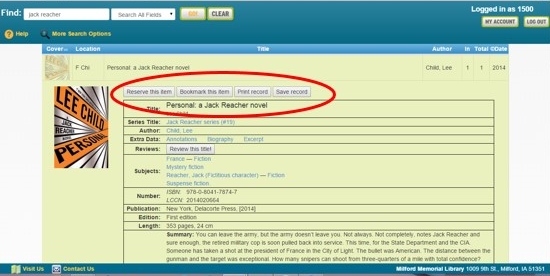 The bookmark tab lets you bookmark books you want to read. 10. 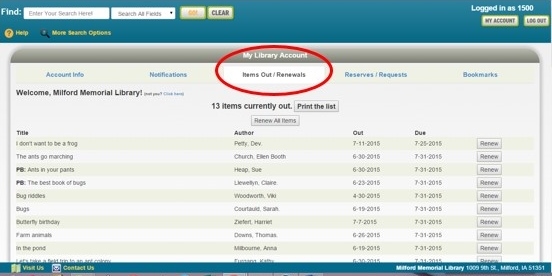 Search the catalog to place reserves and bookmark items.